More fantastic drawing at this years Jerwood Drawing Prize exhibition. Favourites include the work of winners Gary Lawrence and Kristian Fletcher, plus Iain Andrews, Lottie Jackson-Eeles, Louisa Fairclough and Fran Richardson. 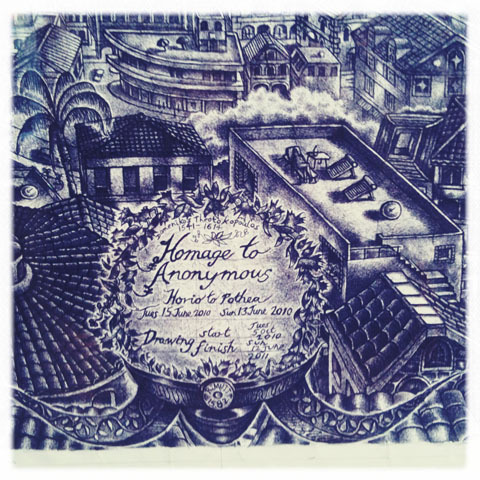 Homage to Anonymous by Gary Lawrence (detail).